The Diamond Ranch Academy is perfect for anyone who has a troubled teen. They can be teens with behavioral problems or ones that feel that life isn’t as great as it was once made out to be. A lot of young people have a difficult time with growing up and a lot of parents can have a difficult time dealing with the teens that do. Things can get heated and things you never wanted to happen might happen, just making things worse. 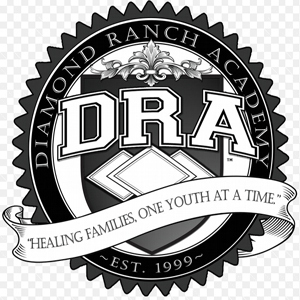 Diamond Ranch Academy is there for you and your child when you think all hope is lost. Diamond Ranch Academy has a beautiful 55 acre campus with six treatment programs spread out across it. They offer specialized individual care for each child while ensuring the best possible care for all of them together. The students there have access to many more facilities and activities than they would at any other school. No one wants to accept it but our society today breeds a sense of entitlement and laziness in the young. Something Diamond Ranch refers to as “teenage retirement”. Teenagers are provided with everything and earning nothing. This causes teens to grow moody and resentful, bored with life and disrespectful. That’s why they came up with the “Real Life Transition Program” to reverse the trend. All of their teachers have Bachelor or Masters level degrees in their field of study. You can be sure that your children are getting the best education possible in a truly wonderful environment. They have Doctorate and Masters level therapists who are regulated by the state of Utah as well. Diamond Ranch Academy knows what they are doing when it comes to helping young people find their place in the world and want to earn it. The facilities back up the excellent administration and teaching staff. They have world class academic facilities including computer labs, classrooms, a library and a wood shop. Their athletic facilities include both the Diamondback Stadium for football and Venom Park for baseball. They have the Snake Pit for their basketball team as well as a generic sports court for everything else. The academy also has a full gym they call the D-Back Fitness center, a golf course called Sand Hollow, and Rattlesnake Park that has tennis courts as well as areas for the students to lounge in during down times. They also have fully stocked therapeutic facilities, student living facilities, and art facilities. Your students will received a world class education and come out with a much better view on life and themselves. 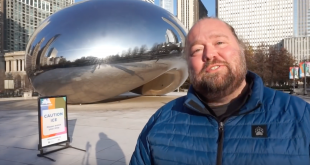 Their website has both videos and written accounts from children and parents about their experiences with the school and how it changed their lives for the better. Students went in to the academy feeling that they were perfect, that there was nothing wrong with them. By the time just a few months passed they realised their mistake; they realised they weren’t infallible and not only did they have problems, but they had to solve them too. Diamond Ranch Academy gave them the support they needed to do that and they can do the same for you and your children. I think that this is great place doing great things for our youth. Kids who went to Diamond Ranch Academy say they were physically and psychologically abused, denied medical treatment and now have PTSD from the time they spent there. Check out http://drasurvivors.com for sworn testimonies from former attendees. themselves from flagitious indicants of diabetes sort 1 or kind 2.
it is not going to remedy diabetes successfully. however get rid of it completely.